It's unbelievable how fast this month has already gone like an autumnal leaf falling from the tree. October, with its raw beauty, gentleness, and fruitfulness, has jumped into my box of memories almost unnoticeably. Life is brief, life is quick, life is sweet... and the older I get, the briefer and sweeter life seems to me. 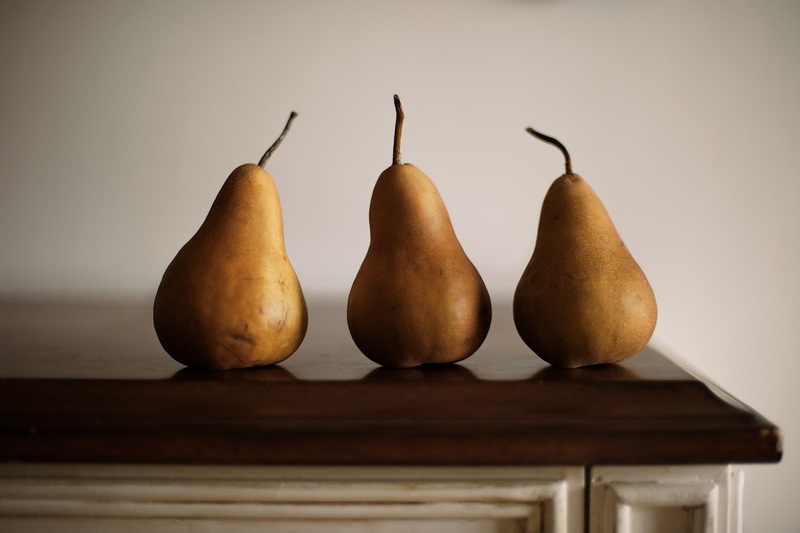 What do you like best about pears? Preheat oven to 375° F. Unroll the puff pastry on a parchment paper-lined baking sheet. In a bowl, combine butter, brown sugar, ginger, vanilla and cinnamon and mix well. Generously brush the top of the puff pastry with the butter mixture. Mound the pear slices in the center of the pastry, leaving 2-inch (5cm) border all the way around. 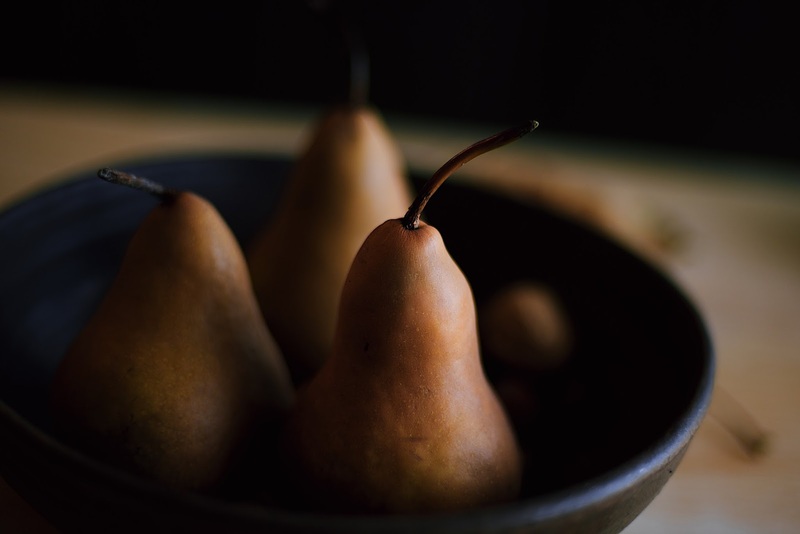 Pull the pastry border up and over the outer edge of the pears, leaving the pears at the center bare and pleating pastry as you pull it up. 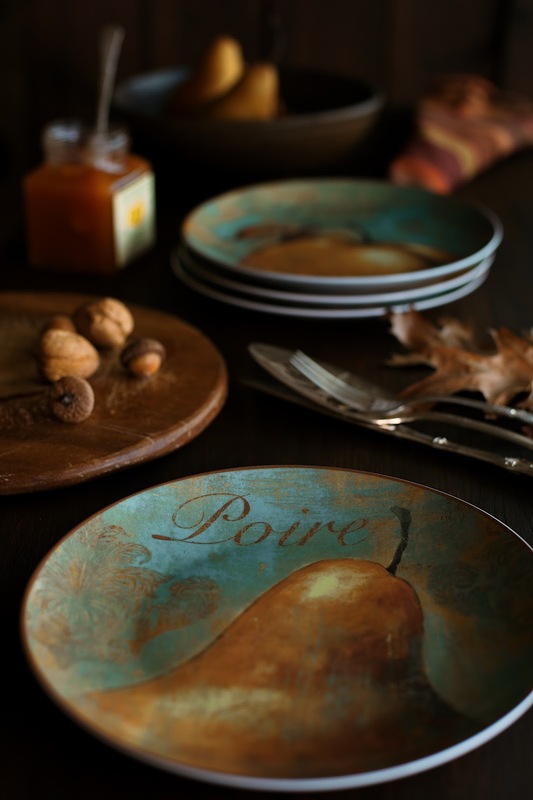 Brush the top of the pears and the pastry with the remaining butter mixture and sprinkle with ground pecan. 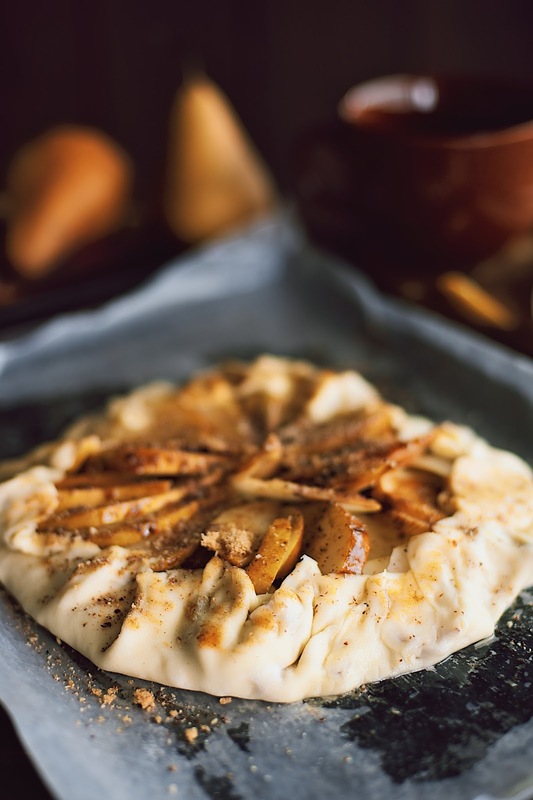 Bake in center of the oven for 25-30 minutes or until the pastry is golden and the pears are tender. Remove from oven and let cool for 5 minutes. Serve warm with ice cream or whipped cream, if desired. Beautiful photos! 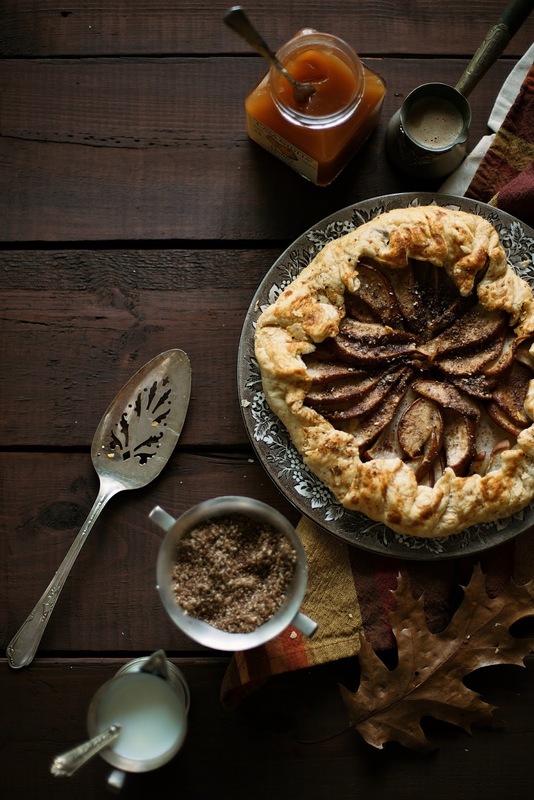 And the galette looks wonderful! Absolutely gorgeous pics - wow, so beautiful - and thank you so much for the recipe, sounds like something my husband would LOVE#! A beautiful post in every way! 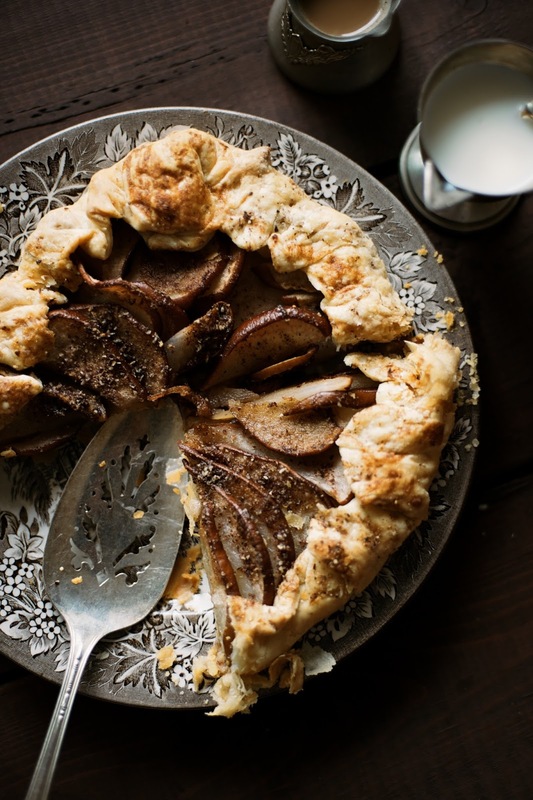 I knew this was a Galette, as an English friend recently served a pear version to me as well! It was heavenly, and yours looks that way as well. I followed your blog awhile back and then somehow fell of the Follower list. It's such a treat to be back, I so enjoy your meaningful words and exceptional photography. Please stop by sometime, Sylvia. Such beautiful photos dear Sylvia! 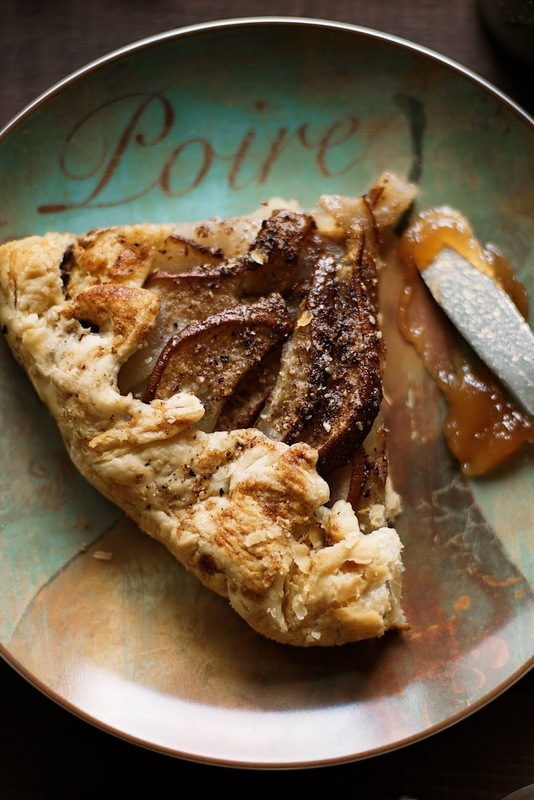 The tart looks and sounds absolutely delicious! 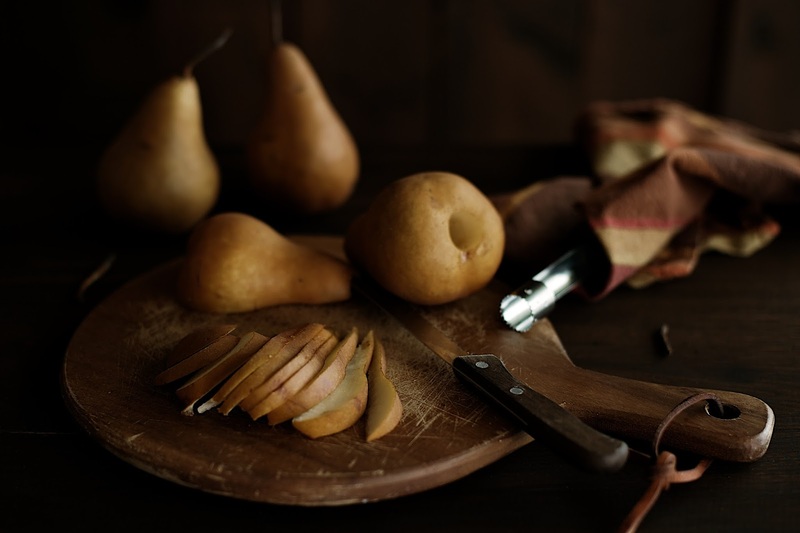 Beautiful photo's and it seems like a delicious pear pie.